The Roku Channel has been popular because it offers free movies and TV shows. 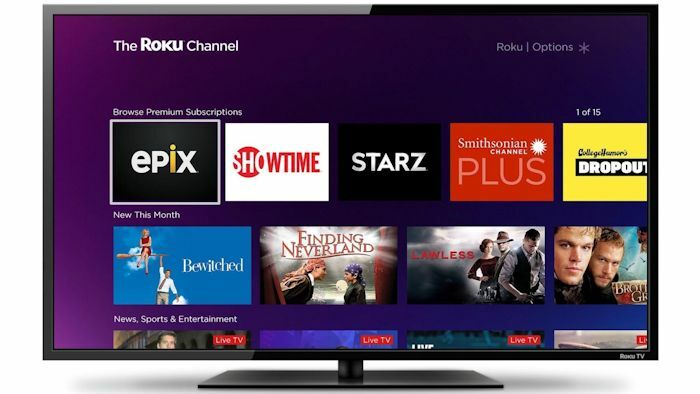 Now, Roku is taking things to the nextto level by adding premium subscriptions to 25 providers, including the likes of Showtime, EPIX and Starz. Beginning late in January, Roku users will be able subscribe to those networks with a just a few clicks of their remote. When they do, their content will appear at the top of the Roku Channel. It’s similar to subscribing to a premium network for Amazon Prime Video customers. The idea is that everything you want is easy to find and get access to. Every premium channel will offer a free trial period of at least seven days, and they’ll remind you before your trial period is over so that you won’t be stuck paying for something you don’t really want. Sadly, you won’t be able to import an existing premium subscription into the Roku Channel. So if you’re already using the Showtime app on a Roku device, just keep using that. The Roku Channel is also headed to the company’s mobile app. That is expected to arrive in late January, and it will roll out the premium channels throughout the new year.